New York – July 18, 2011 – Jewelry lovers understand how difficult it can be to find quality pieces of unique, yet trendy, jewelry at a reasonable price. While online jewelry is available, the quality of the goods is usually quite low, while the prices are high. DeVawn Accessories is proud to announce its new online store, which is designed to close this gap. 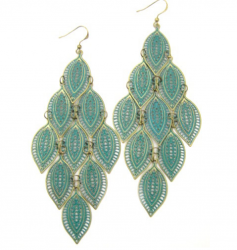 At DeVawn Accessories online boutique, [www.shopDeVawn.com], shoppers can find unique, emerging name-brand jewelry from many designers. In addition to the simple online shopping interface, DeVawn allows customers to sign up for a newsletter service that keeps clients up-to-date on new developments in the jewelry design world. When they sign up, the newsletter will introduce them to up-and-coming designers, new products, and popular fashion trends. DeVawn also gives customers the best prices on the Internet. DeVawn has very little overhead, which means the prices can be lower than most retail locations. The definition of fashion is so broad and so is the variety of jewelry offerings. Customers will find that all of their jewelry needs are met on shopDeVawn.com. DeVawn is an online fashion jewelry boutique that features numerous unique pieces created by emerging designers. To see what pieces are currently available for sale, visit www.shopDeVawn.com. Remember, the jewelry here at DeVawn is guaranteed to make a statement, giving you the power to be bold, be true, and be you! Hey thanks for sharing these information on fashion jewelry. This earring design is really good. If you are looking for more design and collection then go through this site.